WHILE you'd think a major facelift for a local skate park would have kids pumped up with excitement, Boyne Island skaters have shared their surprising take on the plans. 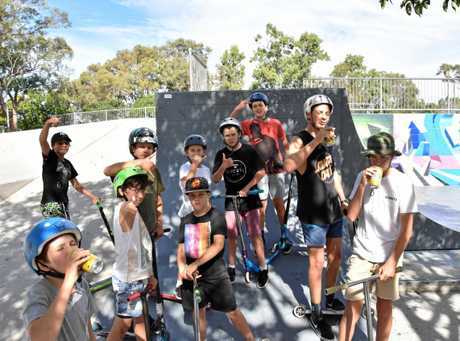 In the hopes of making Bray Park as popular as Gladstone's pump track, Gladstone Regional Council kicked off discussions about transforming the skate park earlier last month. 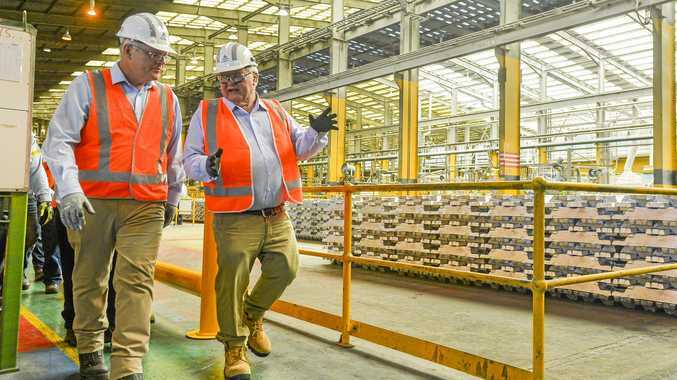 Mayor Matt Burnett embraced the $885,000 'facelift', saying the project aimed "to develop an integrated high energy precinct for all ages" in a time when "the existing skate park is nearing the end of its useful life." But Bray Park's most frequent visitors claimed the addition of a pump track was not in their best interests after all. Skater Hugo Landman said council's plan to put the cash toward implementing a new pump track was "a waste of money." Several children agreed, informing The Observer a pump track was "for little kids" and would bring in "too many people." But people with a few more years under their belt have argued raising visitor numbers was part of the purpose behind the Bray Park transformation. "We want to increase the popularity of the already much-used park ... it's a good community asset in that area and that's what we're looking to drive," a council spokesman said. Bray Park skaters tearing it up: PUMPED UP: Young skaters tear up the track at Bray Park on Saturday afternoon. A pump track will mean Bray Park will cater to an even younger demographic as well as the older kids already utilising the skating facilities. "It was a big success at Memorial Park in Gladstone and we're looking to build on the back of that ... It will give younger kids the chance to go out and be active," the spokesman added. While the overwhelming majority of the children hanging out at the park last weekend claimed they were "too old" and too cool for a new pump track, and wished the funding would go toward expanding the already-existing track, a few skaters spoke in favour of the addition. "It's just fun to ride on sometimes," one said when asked why he'd like to have a pump track. Onlooking parents agreed the facelift would result in "more people and more room." "It'll tailor to younger kids," the couple originally from Tasmania said. The parents said the park was unique in that the families they'd met so far had been nothing but accommodating and welcoming. "Our 8-year-old son loves it down here ... hanging out with some of the older kids has been extremely positive for him and so bringing more young'uns is a good idea," they said. Skaters tear it up at Bray Park: PUMPED UP: Young skaters tear up the track at Bray Park on Saturday afternoon. Bray Park skaters tearing it up: TEARING IT UP: Skaters show off their skills at Bray Park on Saturday. Skaters tear it up: PUMPED UP: Young skaters tear up the track at Bray Park on Saturday afternoon.